From 8th February to 2nd March I am embarking on a Tour of India organised through the Australian Photographic Society. Others going include my partner Julie and several friends from Canberra. 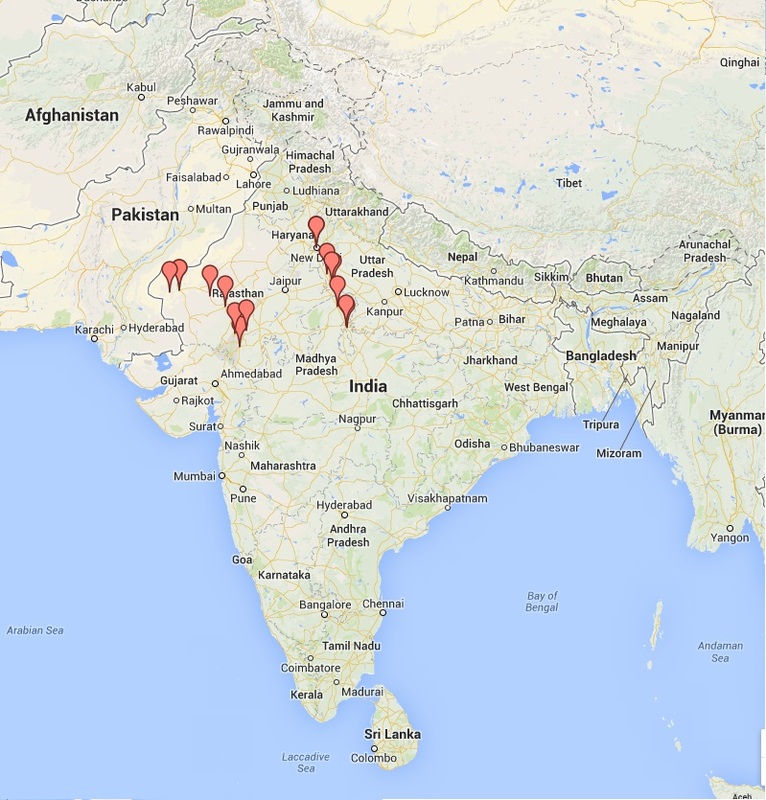 The first part of the tour is around Delhi and the second is in Rajastan. My first visit to India. 28th: Fly Jodhpur to Delhi. 1st to 2nd March: Fly Delhi to Canberra. Photographically, I have decided to travel light on this trip. 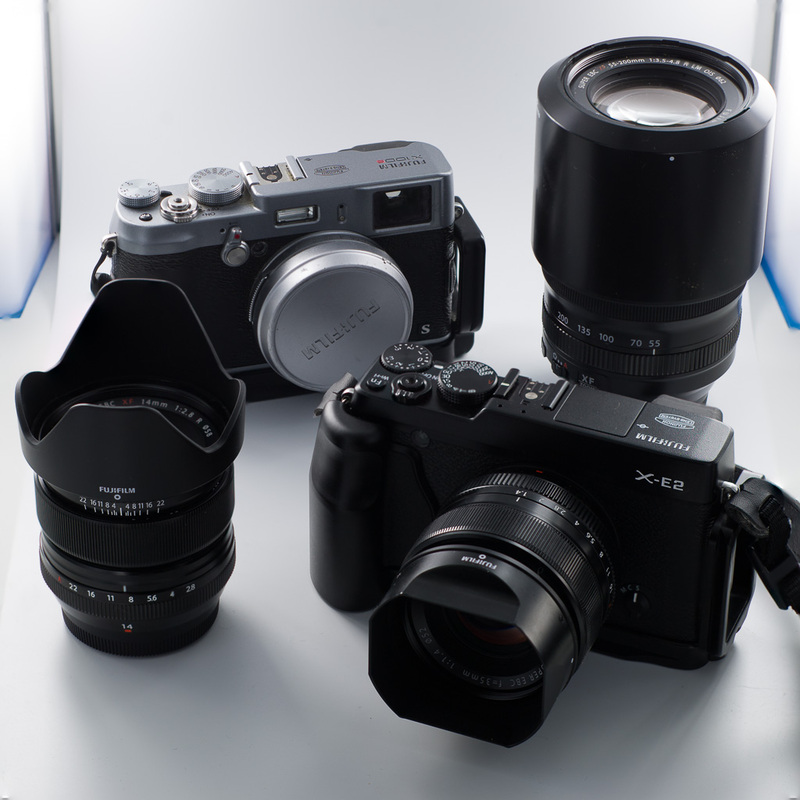 Consequently I am taking a Fujifilm system: X-E2, 14mm f2.8, 35mm f1.4 plus 55-200mm f3.5-4.8, and also a X100s. In conventional 35mm-equivalent terms, this gives me focal lengths of 21mm, 35mm, 50mm and 88-300mm. Compared to my North Atlantic trip, where I took a full-frame Nikon system specified for landscape and wildlife, the Fuji system reduces the weight of my camera, lenses and bag by 76% from 10kg to 2.4kg. A small Samsung laptop/ tablet also reduces my computer and external drives weight from 6.2kg to 3.6kg, overall an airline carry-on reduction of 63% from 16.2kg to 6kg.